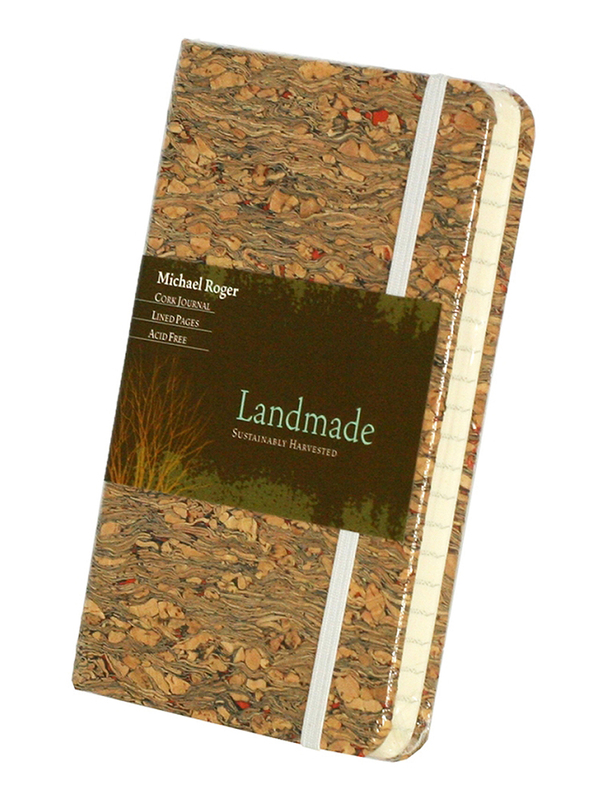 Our Landmade books are made with sustainably harvested cork paper and acid free pages. The elastic closure allows you to keep little papers snug inside your journal. Measures 3.5" x 5.5", made from sustainably harvested cork, 160 lined pages with black ribbon page marker. Please note: The Landmade Cork Journals are made with natural cork paper and the cover patterns will be unique to each journal. In addition there are three assorted underlying colors as well; black, gold, and orange. At this time customers are unable to specify an underlying color.